When you think of north Wales castles have to be one of the first things that come to mind. There are apparently over 600 castles in Wales and as you drive around you certainly keep coming across them. 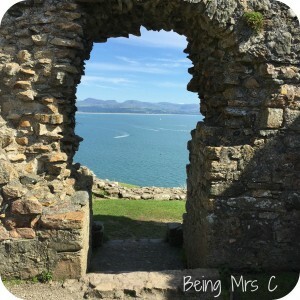 The castles, along with the gorgeous scenery and coastline, were one of the big driving reasons for wanting to visit Wales in the first place with the kids. On the first full day of our stay at Haven Hafan Y Mor we decided to get out and visit the nearest castle to the site – Criccieth Castle. 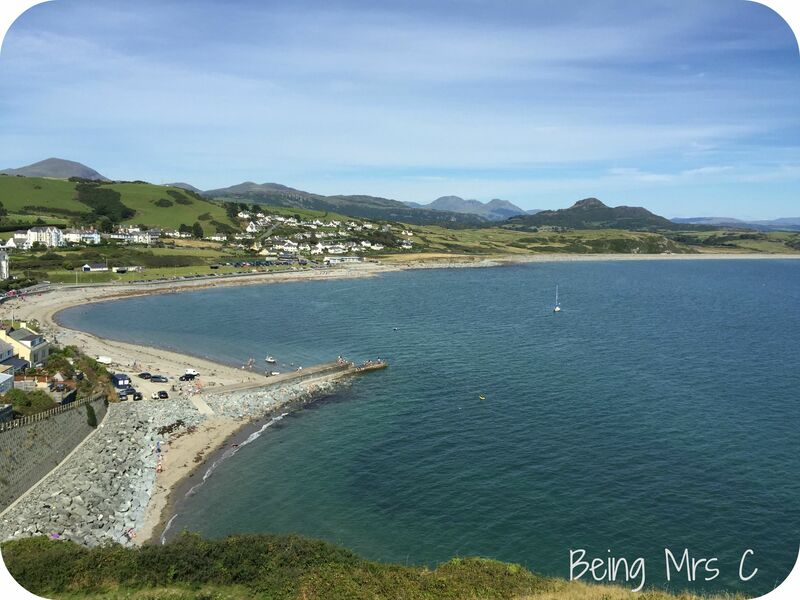 Just a few miles along the coast Criccieth Castle is high up between two beaches and has some of the most stunning views of anywhere. 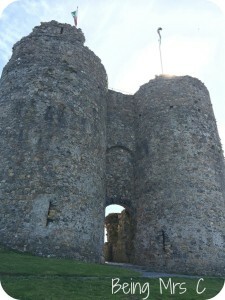 The castle was originally built in the 1230s by Llywelyn the Great this castle has changed hands between the English and the Welsh more times than most. With each new owner came more renovations and modifications and the final castle ended up a bit of a mixed design as a result. To be totally honest though I have to say that for most of my visit to Criccieth Castle wasn’t spent looking at the castle itself, but at the amazing 360 degree view instead. The kids loved the idea this was a real castle “where Mike the Knight might live” and several games were played which seemed to be acting out Mike getting up and having breakfast in the castle as far as I could tell! Criccieth Castle may be small, but it’s perfect for a short visit and well worth the climb up the hill for the view alone. The staff member who told us that it was easy to take a pushchair up to the top may have been a bit ambitious, but there is a good path, albeit a steep one, and a few steps too. At the bottom of the hill is a small visitor centre featuring lots about Criccieth Castle and several other Welsh castles that are under the care of Cadw. There was also a brilliant cartoon showing there all about castles and monasteries and the history of them. I have absolutely no idea what it was (and I really ought to remember to ask Mr C if he knows) but it had all four of us memorised for quite a while. Criccieth Castle is open daily from April to October and for full opening hours and prices see the Cadw website here. 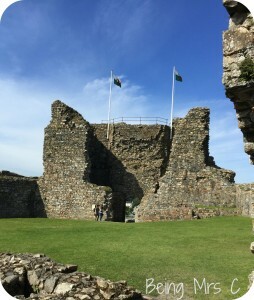 It does look a great castle, but as soon as I hear the name Criccieth I think of one of my favourite poems from my schooldays Welsh Incident by Robert Graves. I adored this and read it again and again.